The online catalogue is the very foundation of any eCommerce web design solution, with attention to visuals and the way you organise your products absolutely fundamental to the success of your online shop. Your online catalogue also helps to increase awareness of your brand, especially if you have a strong search engine presence, by giving worldwide exposure to your company and the products it sells. Category pages help you to make the process of browsing products more manageable by offering a way to break down your product range into smaller bite-size chunks. 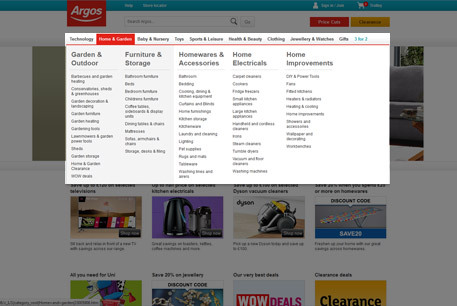 By organising your products into categories, you can reduce the number of items on any one page, allowing the customer to browse the site more easily so they can quickly home in on the item they are looking for. Retailers offering a wide variety of products will almost certainly need to break down their product range even further by making use of subcategories. Even for shopping sites selling a relatively small range of items, where subcategories may not be immediately necessary, subcategory pages could prove an important consideration later on as the business expands and widens its offering. First, organise your products into clear and meaningful categories. Category and subcategory pages also give you an added advantage to your search engine optimisation campaign by adding extra layers of content that search engines love. And that ultimately means more potential buyers to your site as it becomes easier for visitors to find.